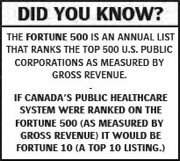 The Harper government has not yet released its electoral platform, but has pointed to its record as proof that it's committed to a "publicly funded, universally accessible health-care system." The Conservatives say they have invested $612 million in new funding to help provinces slash patient wait times. 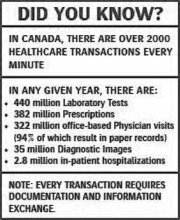 The government has provided $400 million to the Canada Health Infoway (a non-profit organization) to develop electronic health records, and thus reduce some medical errors. The party also says it has boosted funding for new training spaces to address the shortage of doctors and nurses but hasn't provided any figures on its website. Liberal leader Stéphane Dion has pledged $900 million to establish catastrophic drug coverage. The idea is to ensure that Canadians living with a life-threatening or chronic illness wouldn't have to worry about paying out of pocket for costly medications that are not covered under provincial plans. The Liberals are also promising to invest $420 million to create a "doctor and nurses fund" to address the acute shortage of health professionals. The fund would be used to train more doctors, nurses and medical technicians as well as providing financial support to assist foreign-trained health professionals in obtaining their Canadian certification more quickly. The NDP is betting that Canadians will like its plan to spend $1 billion over the next five years to educate and graduate more doctors and nurses. Overall, the NDP hopes its plan will swell the ranks of doctors by 1,200 positions as well as adding 6,000 nurses to hospitals and clinics. The plan would also encourage more medical students to stay in family practice rather than pursue a career as a specialist. What's more, the NDP has called for universal prescription drug coverage and measures to cut drug costs at source. The Bloc Québécois has not made any specific campaign promises on health, other than vowing to defend the rights of Quebec. For example, the Bloc says it will continue fighting against conditions imposed by the federal government on funding transfers to Quebec for health, education and social programs. Health, since it's a provincial jurisdiction, is something that Bloc leader Gilles Duceppe "doesn't think is germane to the federal government to begin with," said Antonia Maioni, of McGill University. The Green Party has issued a detailed "green paper on health promotion" with an emphasis on a cleaner environment. It has proposed an innovative policy of health tax shifting. The party would grant a "GST health benefit reduction" for goods and services that promote health like sports equipment and fitness centre fees. The Greens give no numbers on the percentage reduction. The party has also promised a corporate health tax reduction to companies that create "healthy workplaces." Again, no specific numbers. Saturday, September 27 | Read original article.